The Cameo series features warm rich watercolors. Book cover and pages are gold foil stamped to add class. 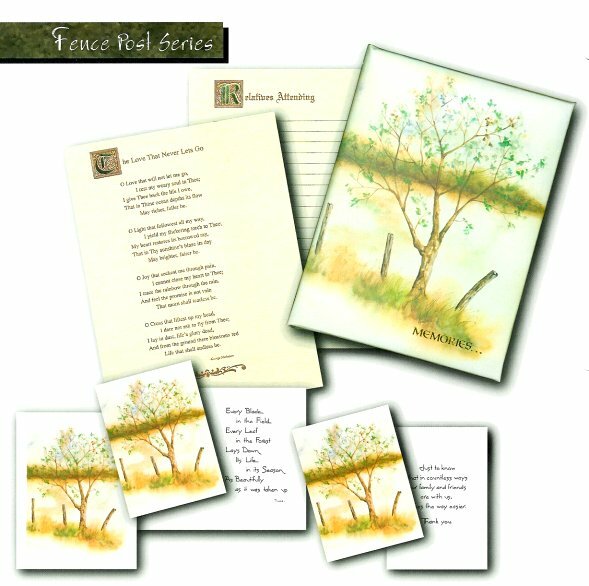 The soft green and browns of the Fence Post Series suggest a lazy summer day in the country. 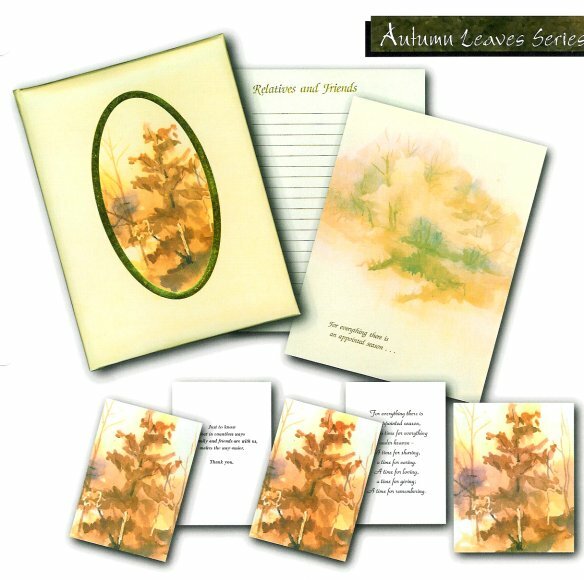 Each tan parchment page features a gold foil drop cap. 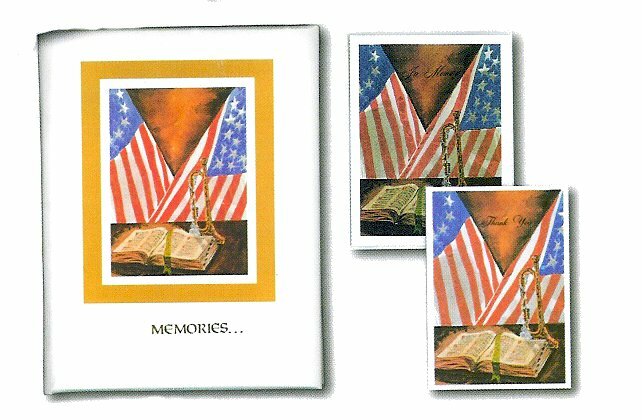 The intricate gold foil design and soft watercolors of The Veteran's Series make this award winning series a popular item. 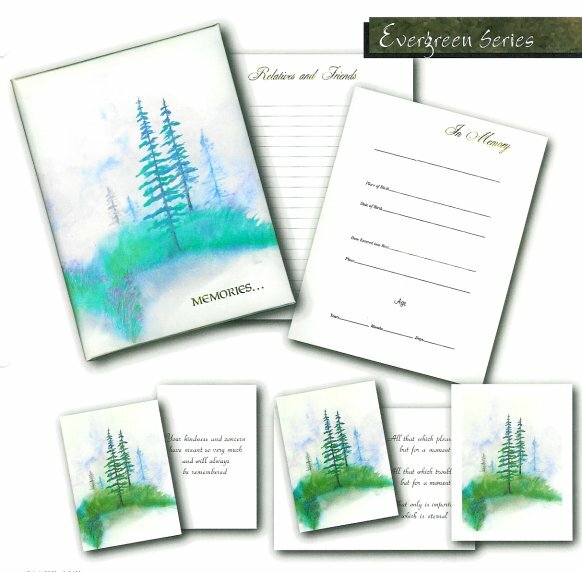 Cool colors splash the canvas of the Evergreen Series, bringing this colorful series to life. 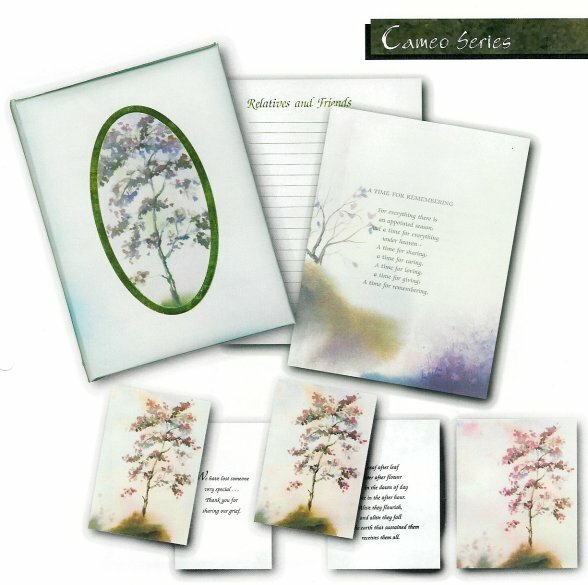 Matching acknowledgement and memorial folders also feature the evergreen watercolor. 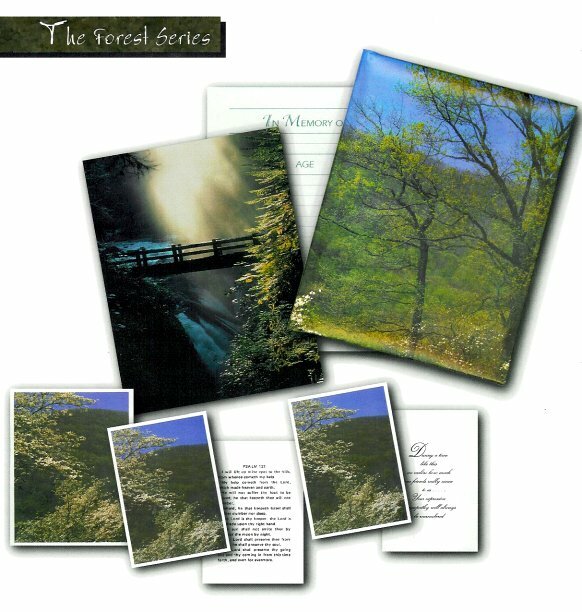 The beautiful Forest Series features brilliant photographs of outdoor scenes, including a waterfall and light rays shining through forest trees onto a walk bridge. 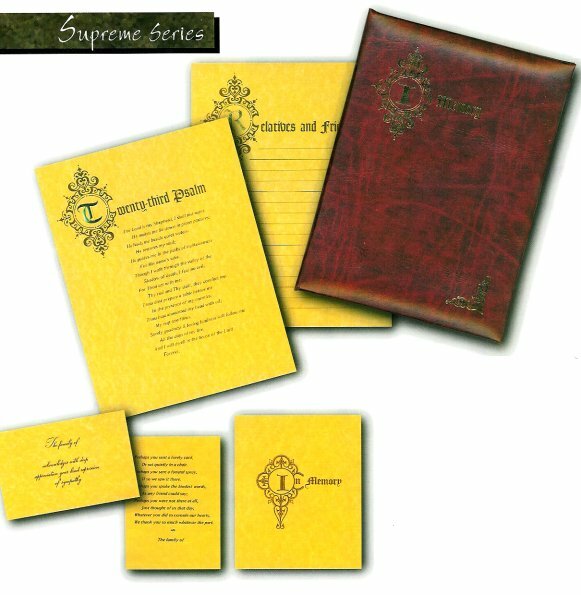 The Supreme Series comes in a wide variety of colors with an elegant gold or silver foil design. 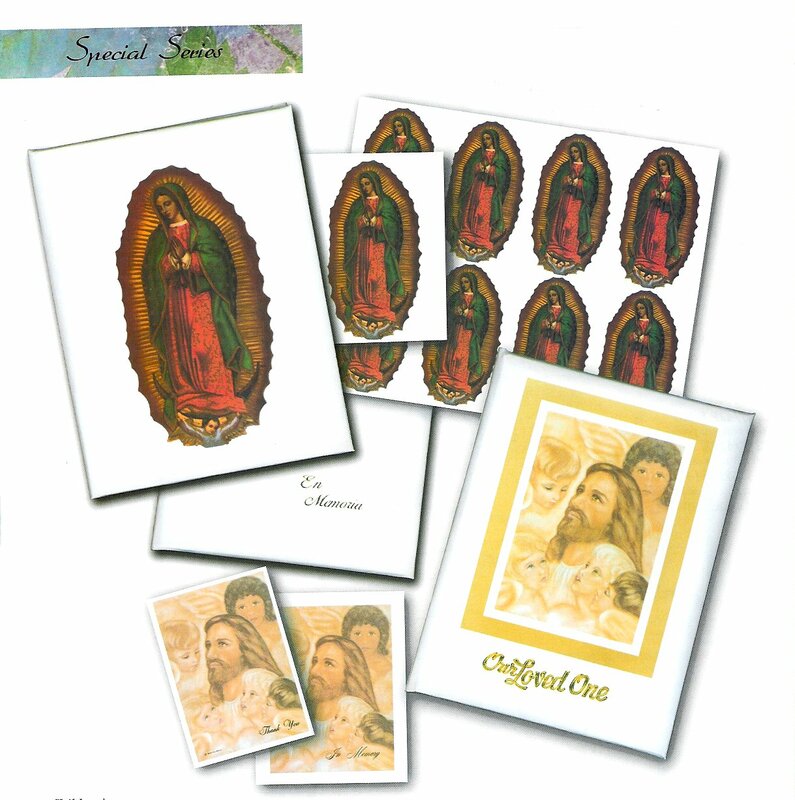 Interior pages and matching cards are printed on parchment paper. The Spanish Series and Children's Series are just two in our line of specialized series created to personalize any service. 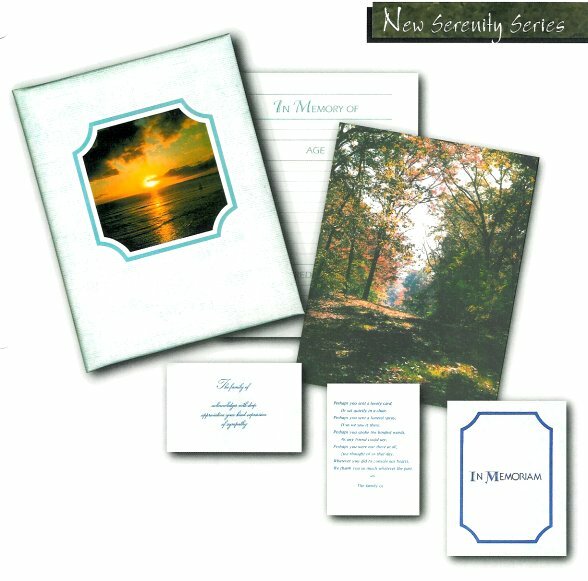 The New Serenity Series combines colorful sunsets and beautiful forest scenes to bring you nature's very best. 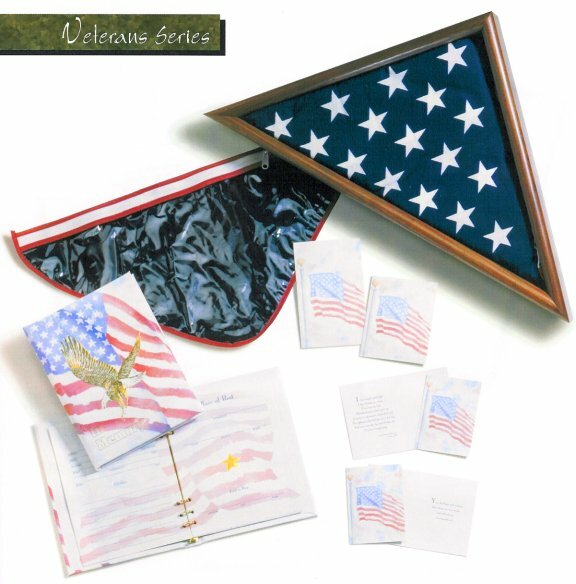 Matching thank yous and memorial cards are printed on blue parchment.